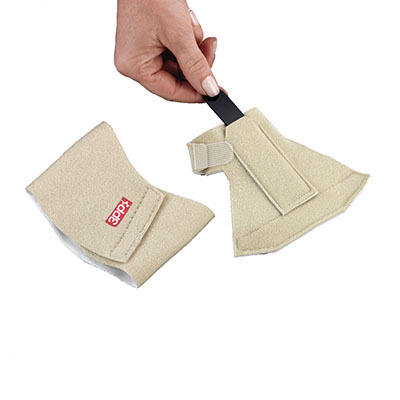 3-Point Products selection of foot and toe splints to help with hammertoes, bunions and plantar fasciitis. Made from soft, comfortable and breathable material. The PF Lift® applies a gentle, controlled lift and stretch on the plantar fascia to reduce the pain of plantar fasciitis or heel spurs. This two-piece design allows the wearer to determine the appropriate amount of compression. The non-slip foamed lined straps are comfortable to wear all day or night. The thin, dense foam can be worn in shoes and maintains stretch even while weight bearing. Size small/medium(7-11"). Hand or machine washable and latex-free. The PF Lift® applies a gentle, controlled lift and stretch on the plantar fascia to reduce the pain of plantar fasciitis or heel spurs. This two-piece design allows the wearer to determine the appropriate amount of compression. The non-slip foamed lined straps are comfortable to wear all day or night. The thin, dense foam can be worn in shoes and maintains stretch even while weight bearing. Size large/extra-large(11-15"). Hand or machine washable and latex-free. The Bunion-Aider™ corrects the alignment of the great toe by applying a gentle stretch to stabilize the toe while relieving Hallux Valgus (bunion) pain. The correction strap is contoured to allow gentle stretch into abduction, extension or flexion (sideways, up or down) to correct alignment of the great toe. It is ideal for those with mild angulation and for use following bunion surgery. The soft, foam-lined material will not slip or roll and is thin enough to wear in shoes. 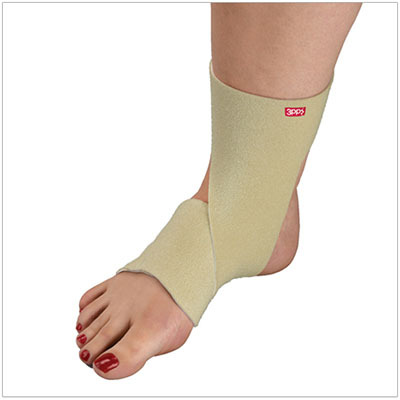 Includes a removable stay for added support to reduce Hallux Valgus. Machine washable and latex-free. Dimensions: 8" x 0.12" x 6"
The Arch Lift™ is designed to lift and support the arch to relieve pain from plantar fasciitis, flat foot, heel spurs and metatarsalgia (pain under the ball of the foot). 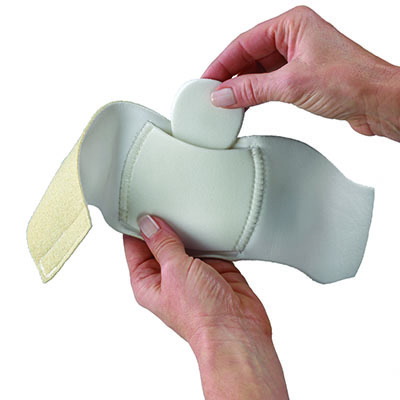 The sewn-in arch pad contours to the foot and a removable metatarsal pad can be added for additional support. The soft, foam-lined material will not slip or roll and is thin enough to be worn in shoes. 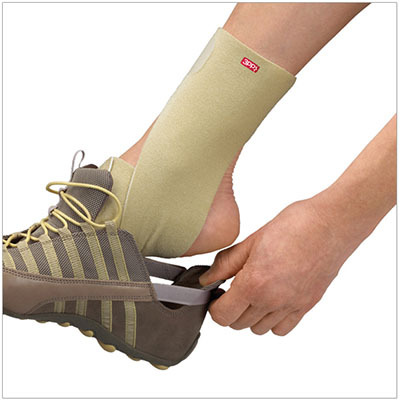 The adjustable straps allow the wearer to control the degree of compression as needed. Machine washable and latex-free.